I'm taking some in game downtime to have my group research the location of their next 2 adventures. Of all the activities I am offering, carousing seems like the worst choice for my group, so I am making a non-alcoholic carousing table. Like O'Doules, but better. It's only a google search away from some inspiration, there's this PbtA chart and this one I really like. One of my player's character, Losten, really wants to steal some cash for a Hat of Disguise, so thieving is going to be my theme. 7-8 the person won't help you, but has a job for you. 17-18 You made a new contact who can help you. 19-20 Person has a direct link to what you are asking. Time to spruce it up, remember we're role playing here. 1-2 What? I'm a constable, come with me. Jailed for 1d6+1 days or a fine of 1d6x10g per level. 3-4 Sure I can help you, as long as no one asks any questions. 7-8 Sorry, can't help you, but I have some work that you might be interested in. 9-10 Nothing this time, no one seems to be able to help. 11-12 Sure, I got your back. 13-14 I'll help you, for an unnamed favor to be used later. 15-16 Yea, sure, what was that? Yea, yea, yea sound like a plan, I got to run. 17-18 I like the cut of your jib, I'm in and why don't you look me up if you need anything else. 19-20 You're kidding, I was just thinking of what I was going to do with this information! Boom, carousing table for assistance in criminal activities. Next project is the actual crime. After testing this out a couple times, I've tweaked the numbers to reflect the typical DCs in the DMG. 1-3 What? I'm a constable, come with me. Jailed for 1d6+1 days or a fine of 1d6x10g per level. 4-6 Sure I can help you, as long as no one asks any questions. 10-12 Sorry, can't help you, but I have some work that you might be interested in. 13-15 Nothing this time, no one seems to be able to help. 16-18 Sure, I got your back. 19-21 I'll help you, for an unnamed favor to be used later. 22-24 Yea, sure, what was that? Yea, yea, yea sound like a plan, I got to run. 25-27 I like the cut of your jib, I'm in and why don't you look me up if you need anything else. 27-30 You're kidding, I was just thinking of what I was going to do with this information! It has been a while since I have written, I am traveling to find you. I thought I saw you board a carriage that was going towards the school. I found some people to travel with. There were problems before we could proceed, so I joined a posse and went after the red glove band. I thought i killed you in the field, but it was just a goblin wearing your clothes. Weird, right? We found a sepulchre and our brave leader was knighted by some skeleton dude. I did it to, I got a sweet broach! The next day we traveled to the last castle in the kingdom, a keep on the borderlands if you will. The magistrate had heard of our exploit and charged us with rescuing the child. As she breathes! It was certainly fortunate The Rescuers were on the caravan. We traveled to the meet and crashed through the door. There was a dark druid there who melded into stone! It reminded me of that thing you used to do when we were kids and my parents would come home. Well, I saved that kid and we got him back. By the light of the dark one, it turned out to be the duke’s son! We were invited to dinner and met a whole cast of characters! It was amazing, a meal where we were surrounded by what is to come! I met my teacher. He was swell. Well, we are going to be on our way soon. You know what that means, I'm finally going to find you, I've been waiting years for this. I'm behind, but this is a perfect twofer. I play a lot of D&D, so there is my answer. Only 2 hours, grab some premades, an AL mod (or roll your own), and get to playing. 10 sessions is a bit vague, 20-60 hours, but you can run an arc in 3 sessions, making 3 arcs and an epilogue; perfect for any story! 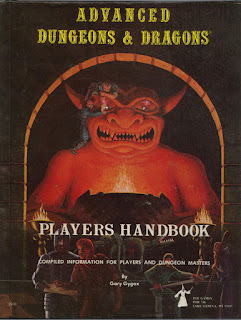 RPGs are what you make them, so my experiences with D&D may not be the same as everyone elses, but whatever your favorite RPG is I'm sure you can do the same with that. Tomorrow's question is less vague, so I'll be back with a few links for you to follow. My most memorable gaming moment was years ago in a Vampire: The Masquerade game. It was the final session of a campaign that had gone on at least a year, one that had spanned the reaches of my circle, and my main world for anything set in the The World of Darkness setting. A ghoul retainer of one of the players had grown tired of the promises he had made to turn her into a vampire and discovered (through an adversary) that being his ghoul was not the path to vampirism. She cut her wrists and begged him to turn her. He let her die and watched the sun rise with her body in his arms. RPGaDay Day 6: You can game every day for a week. Describe what you’d do! You can game every day for a week. Describe what you’d do! Well, since we are fantasizing here, because I have too much going on to game for seven straight; I'll assume I can convince my friends to play or run whatever I want and that the sessions would be at least 4 hours. Sunday would be someone running Blades in the Dark. I really want to play this game and would love to get a chance to play before I run it. It looks like a gun and run game that wants you to think before you prepare. I love the idea of, "Well yeah, I would have that," kind of play. I often assume a lot of things for my players. Traveling for a week together with 3 rogues they would have worked out hand signals kind of things. Monday would be my regular D&D group. Yeah, I love this game. Running in my home brew that gets bigger over time. I've started to run smaller groups through the same world building story and setting for the main game. Tomorrow's game is going to be great. Tuesday I'd put that play into action by running Blades. Wednesday would be Dungeon World with the kids. Both my older boys (17 and 12) like to DM, the oldest dislikes playing as much as me, so I think that they would enjoy adding their own to the story. I just need to hide the Interfere rule! Friday, Lamentations of the Flame Princess, man, what can I say about this? Great system, easy encumbrance, fatal mods. I'd run a classic like Death Frost Doom, or maybe try out Maze of the Blue Medusa. Saturday I play in a regular group. I love my crazy druid healer. 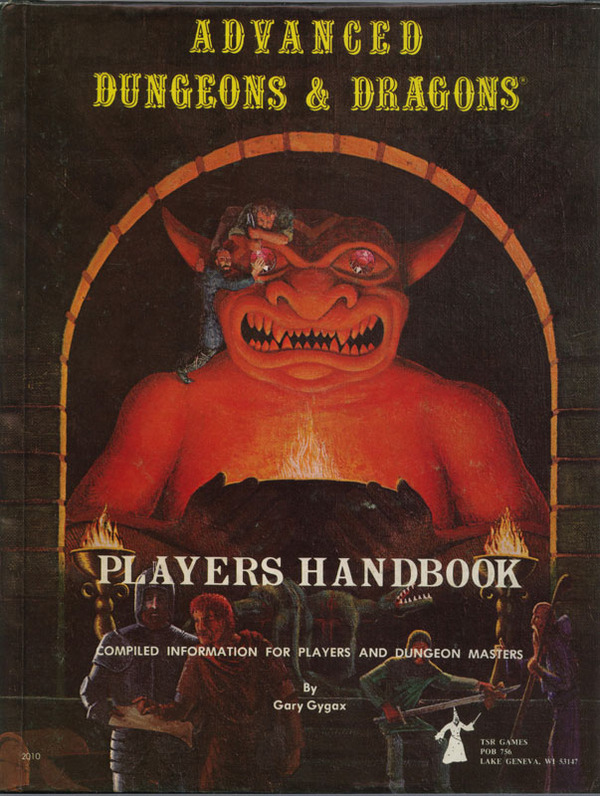 My first choice is the 1st Edition original cover for the players handbook. I was 8 and all I really wanted to do was get me some treasure, in fact most of the early games I played revolved around treasure in some way or other. 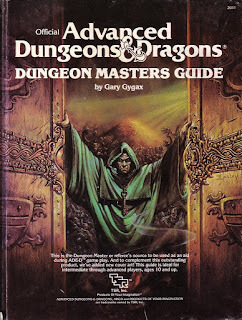 A very close second is the 1st edition second cover for the dungeon masters guide; ironically the two books I had the covers were reversed (2nd cover PHB and 1st cover DMG)! It screams, "Welcome to <em>my</em> world!" I really loved being the DM once I was confident enough to do it. It helped that I taught my step father (and most of my friends) to play, and playing is what he preferred to do. I grew into leading the groups I played with and to this day prefer to GM instead of play, although I do play from time to time. I also found this site with great acrylic reproductions of the 1st edition original covers while looking for pics. Which RPG have you played the most since August 2015? 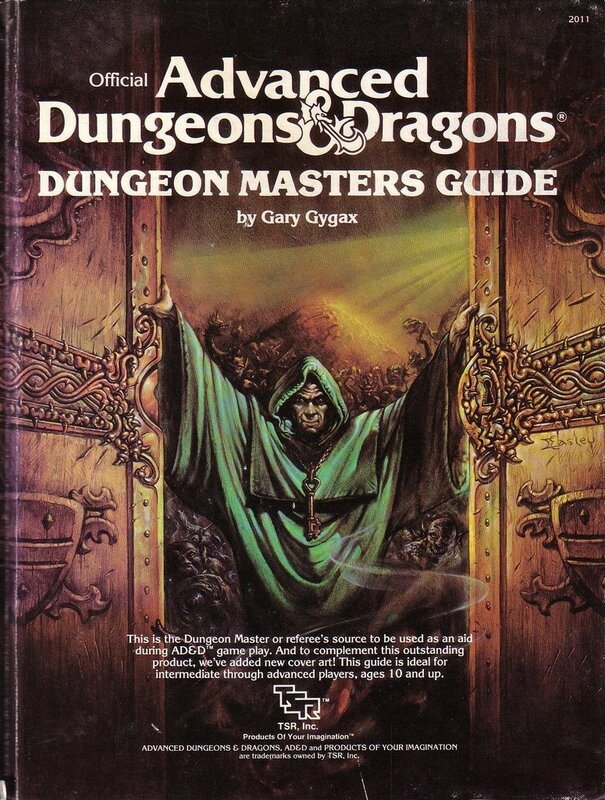 I think I have only played D&D 5e since then, there are a lot of systems I am learning right now; Vampire 5e, Dungeon World, Blades in the Dark are a few I would love to run, but I need time and interest. I am plan to start a group for short campaigns and one shots, but until then I may have to force my kids to play! And social media, primarily G+, but a little facebook and someday when I clean up my Twitter! Most of the things I follow are very D&D-centric, but I have definitely learned of some great games from most of the sources above. What is a RPG you would like to see published? This is a hard one, there are so many being published right now, but I think i'd like to see a really good cyberpunk light (think blade runner or roller ball) story game like blades in the dark. I would play the hell outta that game! Blades is a great heist game that has a unique get in and drive gameplay. There is a little planning, but most of it comes in 'flashbacks.' Things like load out are abstracted until you need something. I'm still working my way through the rules, so if you want to run a game for me, let me know!